How often do you receive a correction in dance class regarding your posture? Do you fully understand the correction that you were given? Take this simple checklist to find out how well your posture is! Posture is important, not just for dance class, but also for everyday life. Living with bad posture can be dangerous because the muscle and ligament imbalances that occur in the body, which eventually lead to injuries. Complete this QUICK checklist to see how well your posture is! 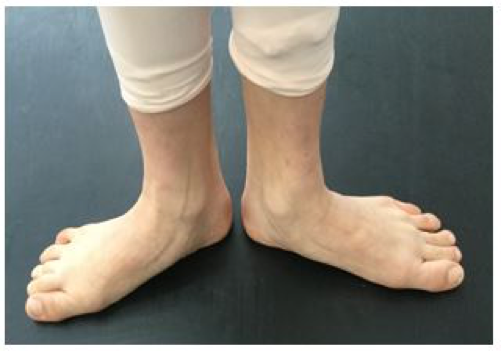 When standing, make sure your arches are lifted and all five toes are spread out equally. When pointing, lengthen underneath the toes to avoid clawing. On releve, the tarsus (ankle bone) should be aligned over the middle toe. Try to have equal support on the inner and outer ankle. Thigh bones should always be in line with the lower leg. "Set" your quadriceps by tightening your thigh muscles above the kneecap. From the back, your Achilles Tendon should go up in a straight line. Always maintain a slight engagement of the glutes and hamstring muscles to keep the pelvis neutral. Pelvis should be as neutral as possible, not tucked or tilted. Tailbone pressing down and lifting upward from the pubic bone. Hips should be level and square. Press the lower ribs down and in so that the abdominals are being used to keep the ribs from popping. Maintain even length on both sides of the waist. Practice deep breathing and closing the ribs like an accordion on the exhale. Shoulder blades should lie flat without winging. Think of pulling the shoulder blades “down and back” like you’re sliding them into your back pockets. Keep the shoulders from rounding forward or from overly pinching together by always maintaining width across both the front and back of the shoulder girdle. Imagine a magnet always pulling your head up to the ceiling.